If you have questions about 40 gallon water heaters, you should find all the answers you need on this page. However, if you are having a problem with a 40 gallon water heater, you may want to check out our FAQ section for information about common water heater problems. 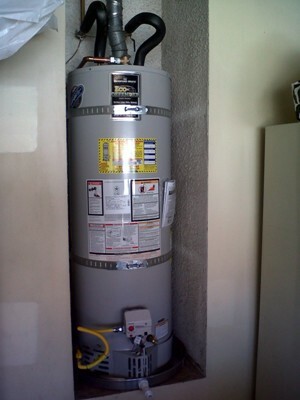 It is very common to find a 40 gallon water heater in a 2 bedroom/2 bathroom home.This is not only because the uniform plumbing code regulates the minimum capacity required in homes based on bedroom and bathroom size, but also because a 40 gallon capacity unit will appropriately serve a to 2 bed/2 bath residence. 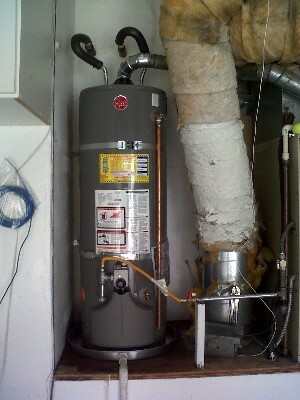 There are always certain circumstances that are exceptions to the rule such as having multiple people all trying to take a shower in the morning or having appliances and/or medical equipment that require preheated water, but most often a 40 gallon water heater will service the needs of a two bathroom home quite well. If you start to notice that you are running out of hot water more frequently, but your habits have not changed and it was not a problem before, it can be a sign the water heater is beginning to fail or getting full of sediment. Depending on the age of the unit and the maintenance history you may be able to drain the tank. If your water heater is over ten years old and has not regularly been drained, we do not recommend you drain the tank yourself. Often opening an old drain valve can sometimes cause more damage to the tank than it can fix. 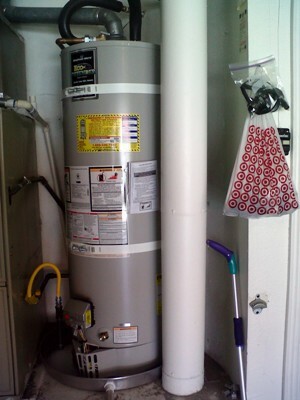 If you have a large household, a growing household or plan to remodel and add more space to your home, think about upgrading to a 50 gallon water heater. It will give you 10 extra gallons that come in handy when you have multiple showers going or high water usage needs and it can usually connect to your existing plumbing and venting without a lot of additional work. 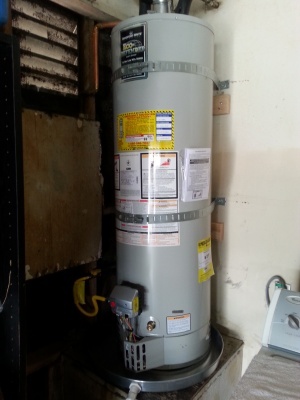 A typical 40 gallon gas water heater has a 3 inch vent and is connected to a flue that runs to the exterior of the home. If your water heater is in the garage next to your heating unit the vent from the water heater and the vent from the heater most likely connect together and then run up and out through the roof. All gas water heaters must have a vent that carries the gas by products or carbon monoxide to the exterior of the home.